Bill Frank has posted new photographs on his website with Orthalicus maracaibensis forma imitator Pilsbry, 1899. This form was identified by Harry Lee, who noted “it should have microscopic spiral striation visible on the body whorl, which feature allow separation from the smooth O. floridensis“. 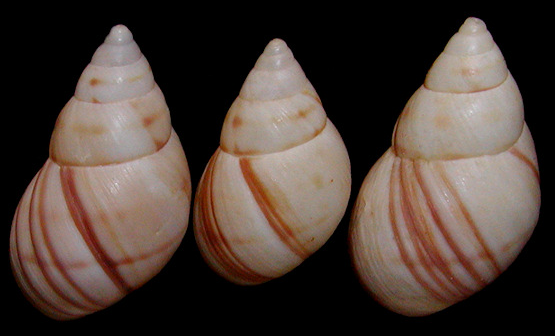 The shells were found on Aruba, near the top of the dunes at Boca Prins, in 1958-1960. The species was also occasionally found at Punta Braboe. This entry was posted in Uncategorized and tagged aruba, orthalicus, westindies on February 4, 2011 by bramb.